What Are Micronutrients and How to Test Your Levels? A diet rich in nutrients is essential to optimal health. The body is an amazing thing with the ability to regulate an unthinkable number of processes 24/7, however certain nutrients are vital to allowing this. There are two types of nutrients, macronutrients and micronutrients. Micronutrients are nutrients that our bodies require in relatively small amounts, and yet they play a very large role. These include things like vitamins and minerals. This article will discuss everything you need to know about micronutrients: what they are, where we get them, why they are important for your health, and how to test your levels. I will also cover the reasons we are deficient in micronutrients and how to improve micronutrient levels. Micronutrients are nutrients we need in small quantities. Vitamins, minerals, antioxidants, and amino acids are all micronutrients. They occur naturally in whole foods and they play a central role in metabolism and the maintenance of tissue function. It is important to keep in mind that they occur in different balances and varieties depending on which foods they come from. It is also important to distinguish micronutrients from macronutrients. 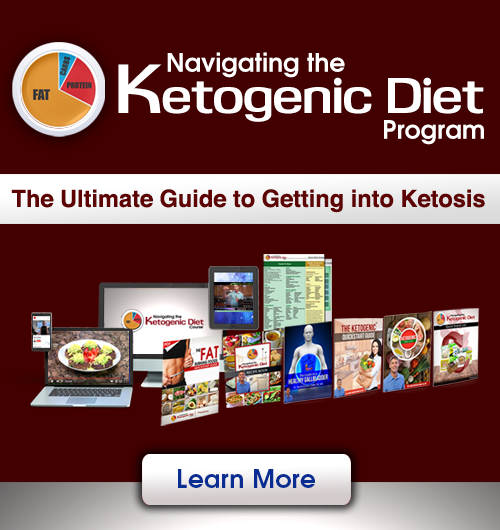 Macronutrients are carbohydrates, protein and fat. They are called macro–nutrients because our bodies require them in relatively large (gram) amounts. Micronutrients are called micro because they are only necessary in small (milligram or microgram) amounts. Specific micronutrients include vitamins and minerals. Vitamins are organic compounds that our bodies need to function properly. Vitamins serve many purposes in the body including brain development, bone health, protecting DNA from free radicals, and ensuring optimal functioning of the immune system. Vitamins are either water soluble or fat soluble. Fat soluble vitamins need a source of fat to be absorbed. Fat soluble vitamins include vitamins A, D, E and K. Fat soluble vitamins can accumulate in the body’s tissue. Water soluble vitamins do not need a fat source to be absorbed. Because they are water soluble, they are lost easily through urine and body fluids. They do not accumulate as easily in the tissues as fat soluble vitamins. This means they typically need to be consumed in either larger amounts or more frequently in order to maintain healthy levels. Water soluble vitamins include B-complex vitamins and vitamin C.
Minerals are inorganic, naturally occurring substances that enable the cells to carry out essential functions. Essential minerals can be further divided into major minerals (macrominerals) and trace minerals (microminerals). Both are equally important but trace minerals are needed in smaller amounts. Macrominerals include calcium, magnesium, phosphorus, sodium, potassium, chloride and sulfur. They perform many functions in the body including maintaining proper fluid balance and keeping bones and teeth healthy. They are also important for muscle contraction, nerve transmission and immune system health. Trace minerals are necessary for health but only in small amounts. Trace minerals (elements) include iron, copper, iodine, fluoride, chromium, manganese, molybdenum, selenium, and zinc. Marginal or severe trace element imbalances are considered risk factors for several diseases (1). Where Do We Get Micronutrients? The best sources of micronutrients are whole foods like vegetables, fruits, nuts, seeds, legumes, and animal products. No one food contains all the micronutrients we need for optimal health. Having a variety of fresh, colorful foods is essential. Nutrient-dense foods contain many micronutrients. Nutrient density is a ratio comparing the number of calories the food provides to the amount of nutrients it contains. Fruits and vegetables have higher nutrient densities. Certain micronutrients can be found in many different sources. For example, calcium is found in dairy products, spinach and sardines. Sources of vitamin B12 are beef, fish, cheese, and eggs. Beef, turkey, cashews, and garbanzo beans all contain zinc. Bananas, spinach, potatoes, and apricots are good sources of potassium. Vitamin C is found in citrus fruits, like oranges and lemons, and in peppers and broccoli. It is important to consume the highest-quality, whole foods to ensure you are getting the optimal sources of micronutrients. Choose organic, GMO-free fruits and vegetables and grass-fed, pasture-raised, and/or organic animal products. If you are consuming a lot of processed foods, sugars, or non-organic foods; your body is going to be exposed to toxins that actually deplete the nutrients in your body, increasing your need for them. Supplementation is another way to meet your micronutrient needs. It is essential with supplementation to consume the highest-quality, whole-food based supplements. Micronutrients are necessary for our bodies to function properly and maintain good health. They enable the body to produce enzymes, hormones, and other substances necessary for proper growth, development, and overall health. They protect our bodies from disease and slow down the aging process. Micronutrients play a role in converting food to energy, building and repairing tissues and DNA, manufacturing neurotransmitters, hormones, and other modulators in the body, and in breaking down and detoxifying xenobiotics and medications. 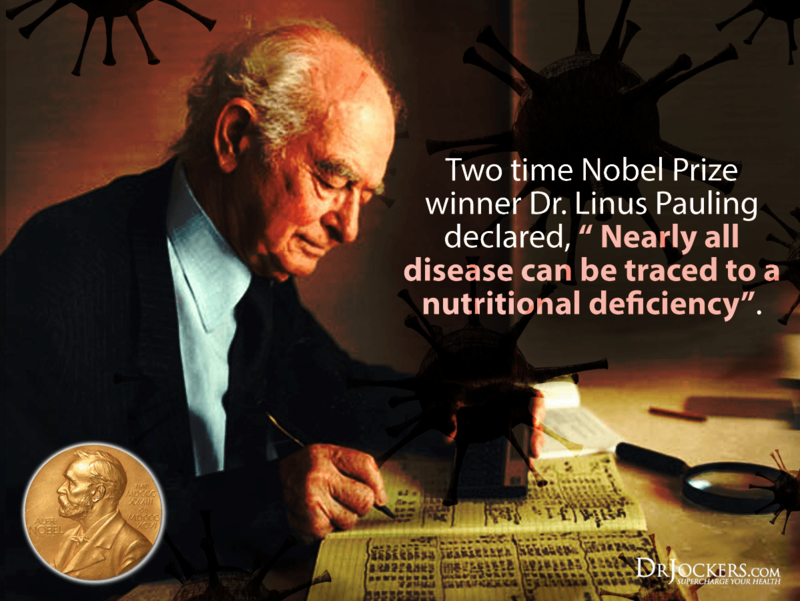 There are numerous health problems associated with low micronutrient levels. Low levels of certain micronutrients can result in thyroid issues, low bone density, digestive problems, and impaired mental ability. Many micronutrients are involved in the structure and function of the brain and nervous system (2). There are several reasons why someone may have a micronutrient deficiency. These include the obvious which is a poor diet that is deficient in micronutrients. The less obvious reasons include low stomach acid and leaky gut syndrome which cause poor nutrient absorption. Additionally, poor blood sugar balance and chronic stress deplete key nutrients and lead to micronutrient deficiencies. All of us have had one or more of these factors for a period of time in our life and it is quite possible you are struggling with one right now that is contributing to a micronutrient deficiency in your body. Stomach acid is important for absorbing nutrients from food. If your body is not producing enough stomach acid, you may not have optimal absorption of nutrients (3). Stomach acid is also critical for disinfecting and killing off bad microbes. Low stomach acid, or hypochlorhydria, is a common underlying problem for people with chronic digestive issues and autoimmune disease. Low stomach acid creates a cycle of poor digestion, gut inflammation, microbial overgrowth, leaky gut, elevated stress hormones and decreased nutrient absorption. The lining of the gut regulates the absorption of nutrients from food. This lining is only one layer of cells thick with tight junctions to allow only certain things to pass through to the bloodstream. Leaky gut syndrome is caused when this cell lining is damaged due to the consumption of GMO foods, pesticides, chlorinated water, antibiotics, and processed foods. As a result, the tight junctions become loose and larger food molecules can enter the bloodstream. When the body encounters these larger food molecules, it mounts an attack, mistaking them for foreign pathogens. This leads to food allergies, autoimmunity, chronic inflammation, and reduced nutrient absorption. A poor diet such as the Standard American Diet (SAD) can contribute to micronutrient deficiencies. Poor dietary habits are linked to a higher risk of stroke, diabetes, cancer, heart disease, dental disease, and kidney failure (4). The Standard American Diet (SAD) relies on refined sugars, processed foods, and toxic fats. Refined sugars and grains increase blood sugar levels, upregulate inflammation, and create extra acidity in our tissues. Not only does a poor diet lack key vitamins and minerals, it is also empty of fiber and enzymes necessary for optimizing gut function and nutrient absorption. The result of a poor diet is numerous micronutrient deficiencies. Blood sugar imbalances lead to massive fluctuations in insulin and cortisol. When we consume high glycemic foods such as refined sugars, our blood sugar rises rapidly. When blood sugar rises, insulin also spikes to move the sugar from the blood into the cells. This leads to a quick drop in blood sugar and rise in cortisol. When cortisol is constantly spiking due to blood sugar imbalances, your body has a decreased ability to make digestive enzymes. Digestive enzymes are critical to the absorption of nutrients from foods. Because of this, blood sugar imbalances lead to micronutrient deficiencies. Chronic stress can affect the digestive system. It has been linked to numerous digestive disorders, including irritable bowel syndrome (IBS) (5). Chronic stress creates inflammation in the gastrointestinal tract impairing the absorption of nutrients. Stress activates the “fight or flight” response in the central nervous system which can slow down or even stop the digestive process as the body diverts its energy to face the perceived threat. This will inhibit digestion and decrease nutrient extraction from meals. Additionally, when stress is chronic, inflammatory biomarkers called cytokines are increased. Over time, chronically elevated cytokine markers can be damaging to our health, especially the immune system (6). There are many steps you can take to improve your micronutrient levels. 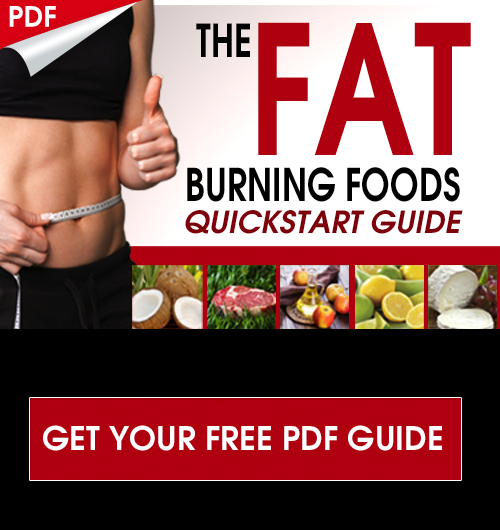 The top five are to heal your gut, adopt an anti-inflammatory nutrition plan, reduce stress and improve sleep, support stomach acid and enzymes, and micronutrient supplementation. Some would say, “You are what you eat!”, but this is not quite true. What you eat is important, but it also has to do with what you absorb. This is why eating well and maximizing digestion are both important factors to consider here. Healing your gut is critical to improving your micronutrient levels. If you have leaky gut, you can be eating a perfect diet, but not absorbing the nutrients in the foods. To heal your gut, consume things like bone broth, fermented foods, and a high-quality probiotic on a regular basis. Remove toxins from the diet such as pesticides, heavy metals, mold, and fungus. It is also important to determine if you have food sensitivities and remove these from the diet to allow the gut to heal. To get adequate micronutrients from food, it is important to follow an anti-inflammatory nutrition plan. You must incorporate anti-inflammatory foods into your diet and avoid foods that cause inflammation. The first step to following an anti-inflammatory nutrition plan is removing inflammatory foods such as refined sugars and grains. Any foods that are easily metabolized into sugar (high glycemic foods) should be removed, or at least limited, to help balance blood sugar. Other foods that cause inflammation include processed foods, processed vegetable oils (like canola, safflower, corn and soybean), and commercially grown animal products. Replace these inflammatory foods with healing, anti-inflammatory foods. Anti-inflammatory foods include organic, non-GMO fruits and vegetables, healthy fats, and grass-fed, pasture-raised, and/or organic animal products. Healthy fats are found in olives, avocados, coconuts, and their oils. 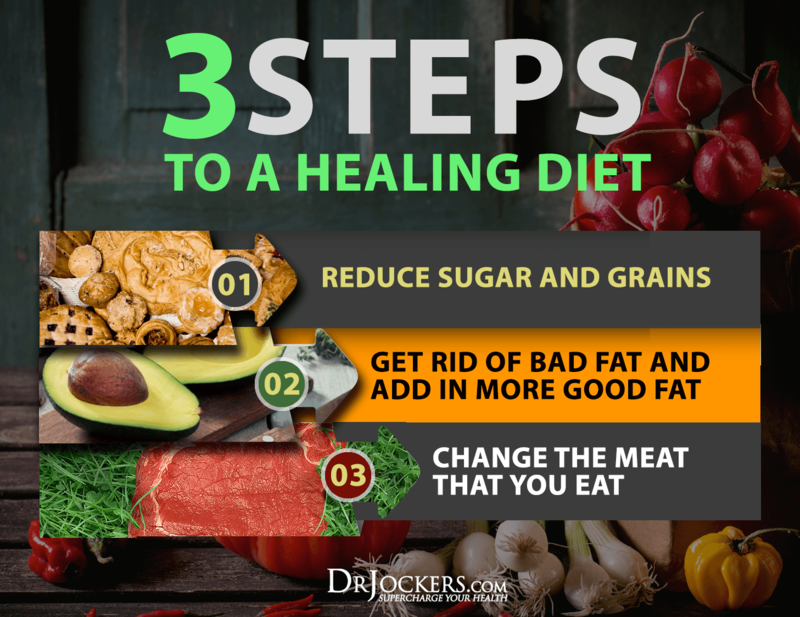 Grass-fed butter and ghee, seeds, and fatty cuts of pasture-raised meats are also anti-inflammatory fats. Non-starchy vegetables and herbs should be included in any anti-inflammatory diet for phytonutrients and antioxidants. Small amounts of low-glycemic fruits such as berries, lemons, and granny smith apples can also be part of an anti-inflammatory nutrition plan. To prevent micronutrient deficiencies, it is important to consume a wide variety of colorful fruits and vegetables. This can be as easy as a smoothie for breakfast and a salad for lunch. Load your smoothie with spinach or kale, an avocado, berries and a high-quality protein powder. A big salad is a great way to get a variety of vegetables into your diet. Use a spring mix base and add avocados, olives, nuts, seeds, clean protein, and raw vegetables. Top your salad with olive oil and fresh lemon juice to maximize absorption of the nutrients. With our busy lives, we all have a certain amount of stress. Since stress is unavoidable, we need to take steps to minimize the stress in our lives. Learning to say “no” more, and saying “yes” to the things that are most important to you is one step to reducing the stress in your life. Moderate exercise is a great way to deal with stress (and improve digestion) by helping to modulate the HPA axis. This is the communication pathway between your brain and adrenal glands. Exercise reduces tension and stimulates the release of positive brain chemicals such as dopamine and endorphins. Having a positive mindset is also important. The right mindset gives you confidence that you can overcome the stress. Prayers and affirmative statements can help you develop the right mindset. One of the best ways to counteract stress is with restorative sleep. Sleep is vital for optimal functioning. Ongoing sleep deficiencies have been linked to increased risk of heart disease, kidney disease, high blood pressure, diabetes, stroke, and obesity. Sleep is imperative for our immune and digestive systems to function properly (7). 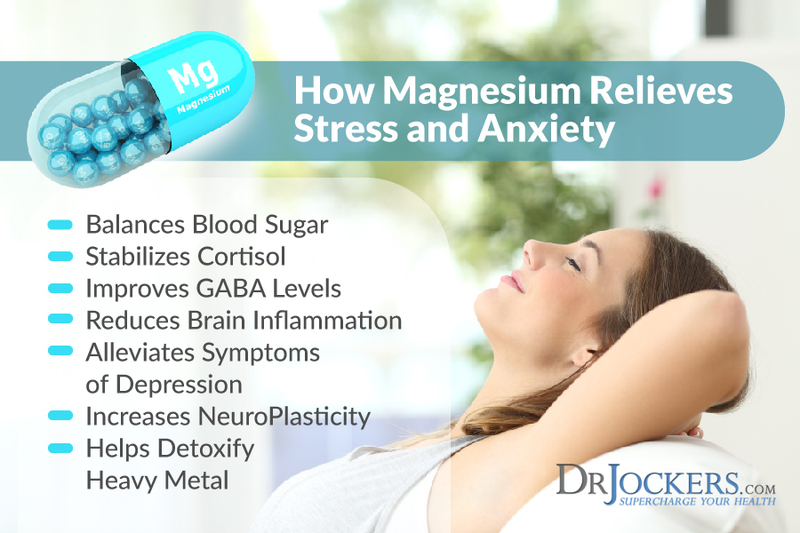 Magnesium is an important micronutrient that plans a critical role in stress and sleep. Magnesium helps balance blood sugar and relieve physical tension, both of which are related to stress and impaired sleep. Magnesium helps regulate melatonin and GABA levels in the brain. Both melatonin and GABA are necessary for sleep. Supplementing with magnesium, such as Brain Calm Magnesium, may help the brain signal the body for sleep. Other strategies for better sleep are getting some sunlight during the day, avoiding artificial light, blacking out your room with blackout curtains or using a sleep mask, and forming healthy sleep habits. Healthy sleep habits include turning off electronics, having good hygiene practices, light stretching, practicing gratitude, journaling and prayer time, and spending time with family. It is also important to be smart about caffeine intake by using it early in the day in small quantities and cycling on and off caffeine. Without adequate levels of stomach acid, inadequate digestion and microbial overgrowth result. Digestive enzymes play a critical role in digestion and nutrition assimilation. When enzymes are damaged or denatured, they can no longer carry out these processes. All processed and heavily cooked foods contain an abundance of denatured enzymes. These are highly allergenic to the body and steal good digestive enzymes for digestion. This can result in low levels of digestive enzymes and poor digestion and nutrient absorption. If you have lower stomach acid and digestive enzyme levels, you can follow several strategies to improve digestion and absorption of nutrients. One of the best strategies for increasing nutrient absorption and reducing stress on the GI system is to have liquid nutrition throughout the day. I encourage my clients to have a protein shake or green juice for at least two of their meals. Shakes and juices are pre-metabolized and easy to digest. Another strategy is to super hydrate outside of meal times and drink very little with your meal. Good hydration outside of meals will help with bowel motility. Good motility is important to reduce microbial fermentation and toxicity in the body. With any solid food meal that has meat or harder to digest foods, you should not drink at least 30 minutes before, during, and 30 minutes after the meal. This prevents dilution of the gastric juices and will allow for better digestion. Fresh lemon juice or apple cider vinegar (ACV) added to meats and vegetables as a marinade or added before consumption can help pre-metabolized the food for better digestion. Fermented vegetables (sauerkraut, kimchi, pickles, etc.) and fermented drinks (ACV, coconut water kefir) can help with enzyme and stomach acid production. Other high enzyme foods include avocados, sprouts, ginger, pineapple, aloe vera, garlic, coconut, spirulina and chlorella. You can also use supplemental HCl and digestive enzymes to optimize your digestion. Two of my favorites are Acid ProZyme and SuperDZyme. Acid ProZyme contains a variety of compounds which support gastric acidity, digestion and normal gastrointestinal flora. SuperDZyme has a wide variety of bioavailable enzymes and survives in a wide pH Range, such as that found in the stomach and small intestine. Most children and adults are not consuming enough nutrient-rich foods to meet their daily vitamin and mineral needs. Supplementation with high-quality micronutrients is a great way to get optimal amounts of micronutrients and prevent deficiencies. High Energy Support is multivitamin/mineral formula with a balanced profile of nutrients. The micronutrients in High Energy Support are provided in bioavailable form so they can be better absorbed and utilized. High Energy Support is key for improving energy levels, balancing blood sugar, improving detoxification, protecting the body from oxidative stress, and supporting a healthy mood and mental clarity. High Energy Support comes in capsules and chewables. My children love the chewables, and I feel great giving a high-quality supplement free of common allergens, artificial colors, additives, flavors, sweeteners, and preservatives. Another incredible supplement is Gut Healing Protein powder. This protein powder is a comprehensive, low-allergy potential, dietary supplement designed to support gastrointestinal function and balanced detoxification. It contains 26 grams of high quality vegan-based protein and clinical dosages of key micronutrients, including amino acids and antioxidants to heal and repair the gut. The best way to test Micronutrient levels is with the SpectraCell Micronutrient test. This test measures functional deficiencies of micronutrients at the cellular level giving the most comprehensive nutritional analysis available. Spectracell’s Micronutrient test assesses how well the body utilizes 33 vitamins, minerals, amino and fatty acids, antioxidants, and metabolites. This test can be helpful for anyone with arthritis, cancer, heart disease, diabetes, immunological disorders, metabolic disorders, and micronutrient deficiencies. The SpectraCell Micronutrient test can help with the identification and mitigation of nutritional risk factors that contribute to many degenerative disease conditions. It is helpful for people with a family history of chronic disease and certain high risk groups that are more susceptible to vitamin, mineral, and antioxidant deficiencies. This test is also beneficial for proactive people who want to prevent health issues with early detection of nutritional deficiencies as well as those with no apparent specific disease who need insight into generalized complaints and treatment options. Micronutrients play a crucial role in our health. Vitamins, minerals, and other food-derived compounds protect our bodies from disease, slow the aging process, and just help the body function at an optimal level. Micronutrients have a unique role in overall health and a deficiency can impact your well-being. Eating a whole-food, high-quality diet with a variety of fruits, vegetables, and quality protein is the best way to get micronutrients. High-quality, whole food supplements are also a good source of micronutrients. Causes of micronutrient deficiencies include low stomach acid, leaky gut syndrome, poor diet, blood sugar imbalances, and chronic stress. You can improve your micronutrient levels by healing the gut, adopting an anti-inflammatory nutrition plan, reducing stress and improving sleep, supporting stomach acid and enzymes, and taking micronutrient support supplements. To test your micronutrient levels, the SpectraCell Micronutrient test is a comprehensive test that measures functional deficiencies of micronutrients at the cellular level. It gives the most comprehensive nutritional analysis available. 7. Why is Sleep Important? National Heart, Lung, and Blood Institute. NIH, June 7, 2017. Link here.